Stadio Olimpico duo on Old Trafford wish-list. Man United boss Louis van Gaal is reportedly ready to sanction a massive bid for AS Roma pair Radja Nainggolan and Miralem Pjanic according to the Metro. The Dutch manager has secured a return to the Champions League and will no doubt be handed a massive transfer war-chest, with PSV Eindhoven winger Memphis Depay having already been snapped up, and the Old Trafford side are ready to offer £50.7m for the Stadio Olimpico duo. Belgian Nainggolan has impressed since leaving Cagliari for the Italian capital and would offer van Gaal a steely presence in the centre of the park. 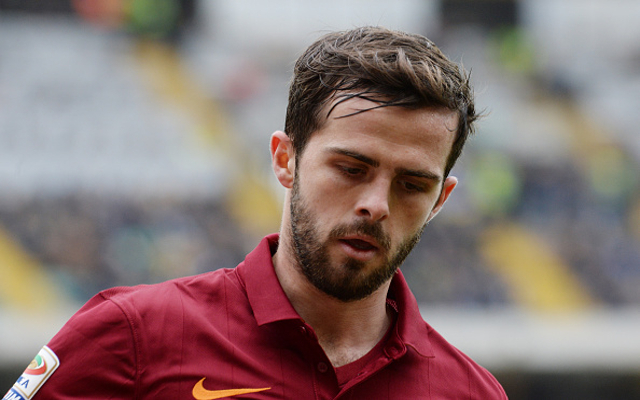 Bosnian Pjanic is a creative midfield talent with bags of talent and a player who can unlock opposition defences with his deft touches and great footballing brain. With midfielder Michael Carrick entering the latter stages of his career and loaned out England man Tom Cleverley likely to leave on a permanent basis, there is perhaps scope for strengthening the Man United midfield. The fact that van Gaal has opted to use Marouane Fellaini in a more advanced role could also be a motivating factor in moves for this impressive Serie A duo.